When you own a home, you will see that the kitchen is easily one of the most important rooms for a wide variety of reasons. It is the place where you will make meals and probably eat your family dinner together. There is so much that you can do with a kitchen, whether you want to keep it basic or modern, but if you are in the market for new appliances, Bosch has you covered. Bosch started selling their wonderful range of appliances in the United States back in 1991 and has since made a name for the company, selling dishwashers, ranges, ovens and even worktops. These appliances are made to last and look stylish, whether you desire a kitchen that looks technologically advanced or classic. Bosch appliances are some of the most durable that you will ever own, as they are made with German engineering. The company is based out of Munich Germany and also has United States based headquarters in Irvine, California. When you are going to be installing Bosch appliances into your kitchen, you will see that it is very easy for you to actually design your own kitchen. You will be able to start from scratch or use a predesigned kitchen, like the Miami Kitchen, designed by Bosch for an L-shaped kitchen. You will be able to purchase an induction cooktop, a downdraft ventilation hood, a single-wall oven, a microwave, a steam convection oven, a refrigerator and even a dishwasher from this collection. There are other beautiful collections, including the New York or Chicago collection for a galley style kitchen, the San Francisco or Charlotte collection for a U-Shaped kitchen, or the Austin collection for an L-Shaped kitchen. All of these collections are perfectly functional and the items you desire can be purchased if you do not think you need the entire collection. Bosch products are all made with the highest quality materials and are designed to last for years to come, so that you are not constantly having to replace them. Bosch also wants to reduce the size of their carbon footprint, so they are manufacturing appliances that have Green Inside Technology, making them much more efficient than competing products. Bosch has reduced the amount of water that their appliances will use by 51% since the early 2000’s, energy usage by 19% and waste by 10%. 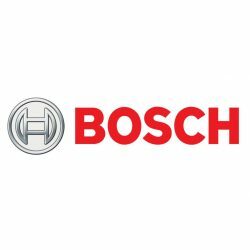 You will also see that Bosch stands behind every appliance they make and sell and will always help you out if you should have an issue with your product. Kitchens are always going to be one of the most important rooms in your home and having a great kitchen with excellent appliances can reduce the amount of time you actually spend in the kitchen cooking and cleaning up. Purchasing your appliances from Bosch ensures that you will have high quality appliances in your home that you purchased at a great price. You will enjoy your time in the kitchen and you will also appreciate the fact that you saved so much money designing it.